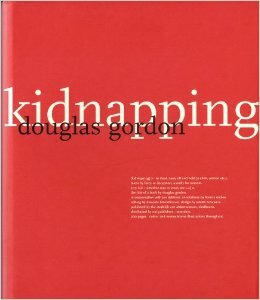 This publication is the first to present a major survey of the works and ideas of Scottish artist Douglas Gordon (1966). Since 1990 Gordon has made incisive and compelling works on the subjects of memory, perception, and interpretation. Using film, video, sound and the written word, his works have been presented in galleries and museum collections worldwide. In 1996 Gordon was awarded the prestigious Turner Prize in London, in 1997 the Premio 2000 at the Venice Biennale and in 1998 the Hugo Boss Prize in New York. The Main text is a conversation between the artist and Jan Debbaut, director of Eindhoven’s Stedelijk Van Abbemuseum. The conversation covers a two-year period during which they discuss aspects of Gordon’s work, his background, training, attitudes to art and artist, his references and preoccupations. The conversations are accompanied by observations and annotations by Francis McKee, cultural historian and Director of Programme, Centre for Contemporary Art, Glasgow.